June 21, 2016 Jay Desko, Ph.D.
Over the years, we have heard many nonprofit leaders complain about various aspects of their boards. Some board members have even expressed that they dread attending board meetings or that they feel like the board is nothing but a rubber stamp for the organization’s director! To have an effective nonprofit structure, you need a healthy board with members who are engaged. This will help the organization maintain its momentum. However, too often, making sure the board is doing meaningful work is overlooked. Boards are still expected to fulfill their fiduciary and accountability responsibilities even when these responsibilities no longer require significant time and skill. This often happens when an organization is in a time of steady operations without major changes inside or outside of the organization. It also occurs when an organization gets larger and hires more professional staff to fulfill positions which skilled board members once volunteered in. Since board members have been acculturated into these roles, frustration and conflict with staff can result. In their book, Governance as Leadership, Richard P. Chait, William P. Ryan, and Barbara E. Taylor pose an interesting question, “What would be the single gravest consequence to your organization if your board did not meet or conduct board business in any way for a two-year period?” Would it affect anything? Or are the responsibilities you have given your board unimportant and unfulfilling? It is vital that board members feel that their work is meaningful in order for them to desire to remain in their position. When "Board Member" ends up meaning "Substitute Teacher"
Chait, Ryan, and Taylor go on to depict how by tasking our boards with unsatisfying work, we essentially treat them as substitute teachers, important but unfulfilling. Are you asking your board to just “keep order”? If so, your board members will become more and more restless. 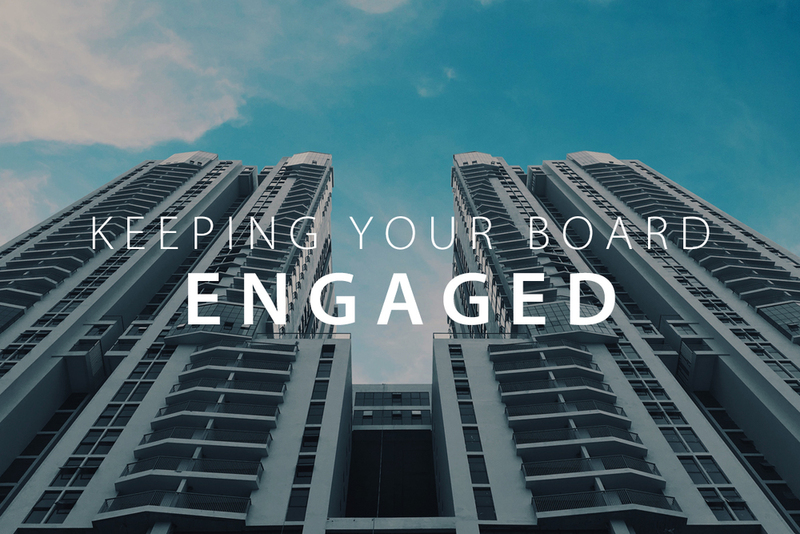 However, putting an emphasis on meaningful work will help to engage and retain qualified board members! For more on building an effective board, read our book GUIDE – Building the Team. Setting the Direction. Fulfilling the Mission. or contact us to learn more about the customized training we offer for boards!